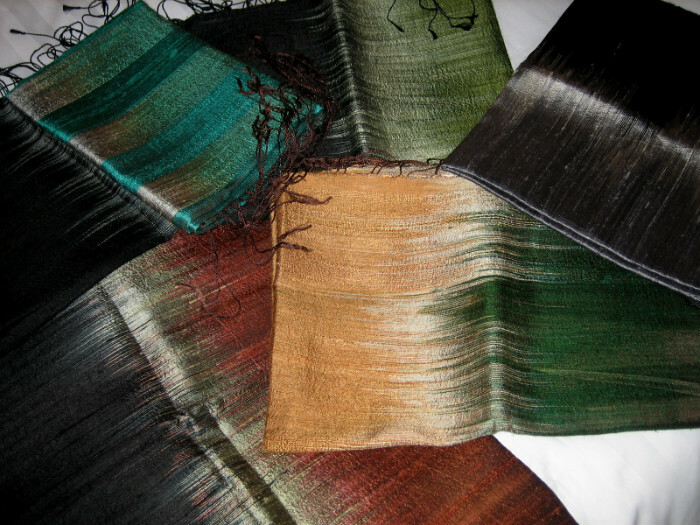 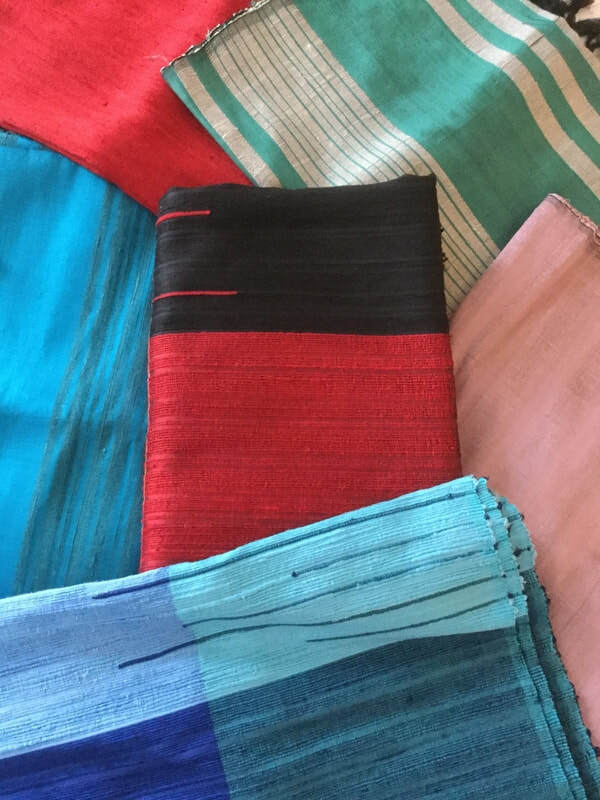 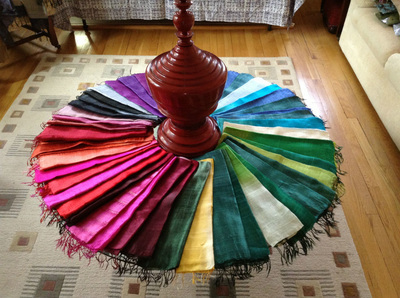 It is interesting to me why the weaves and qualities, to say nothing of the designs, of silk scarves vary from country to country. 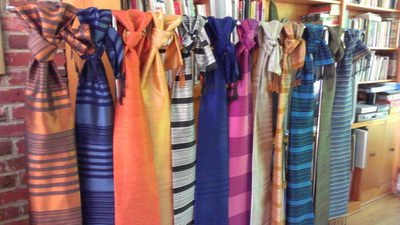 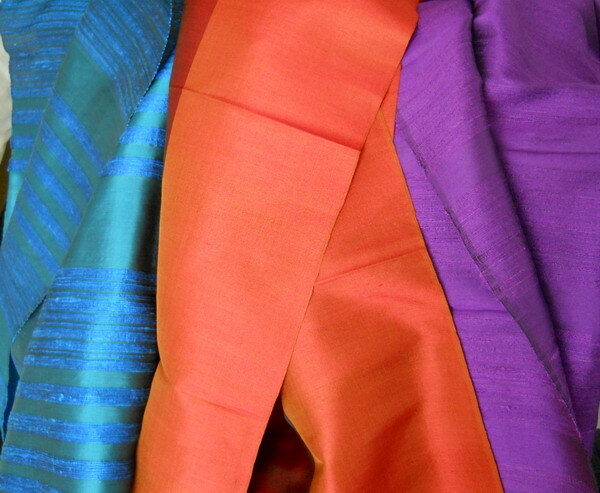 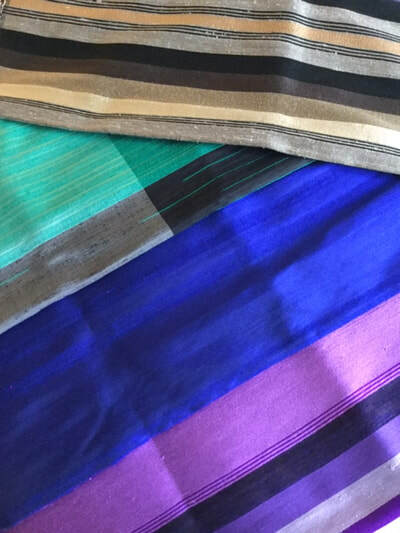 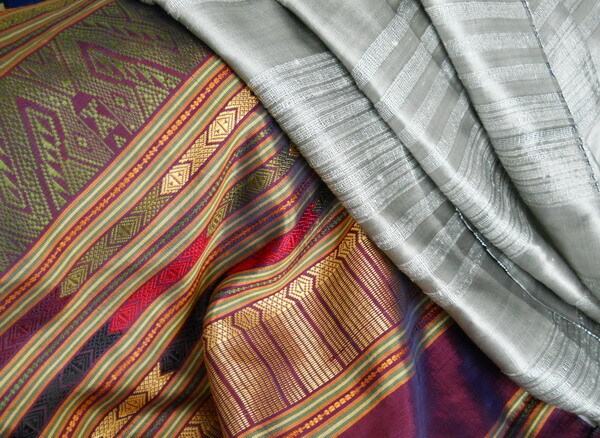 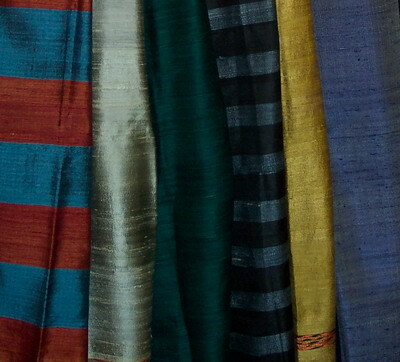 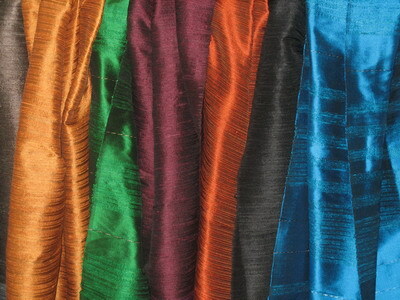 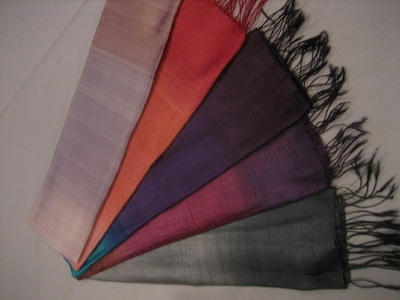 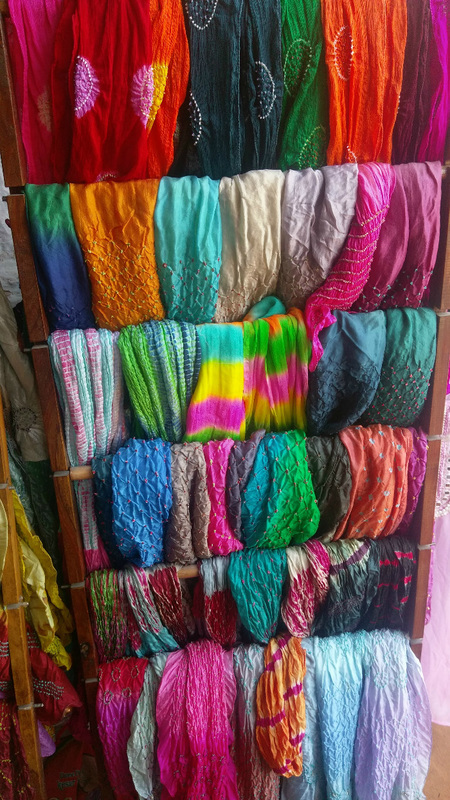 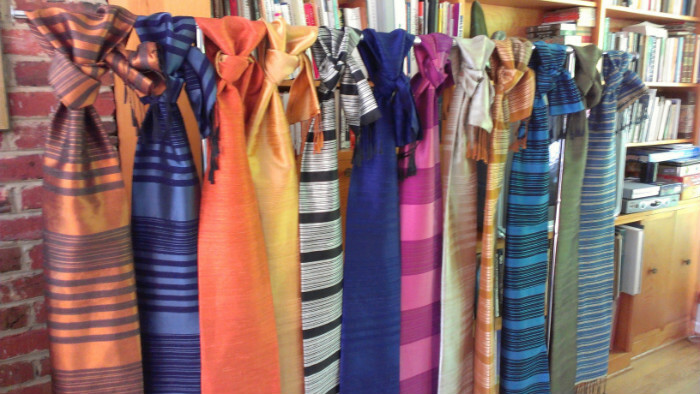 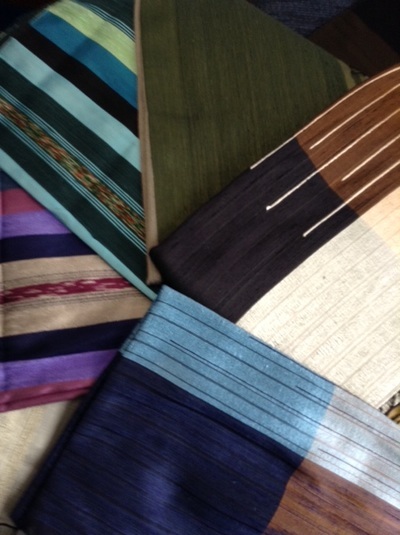 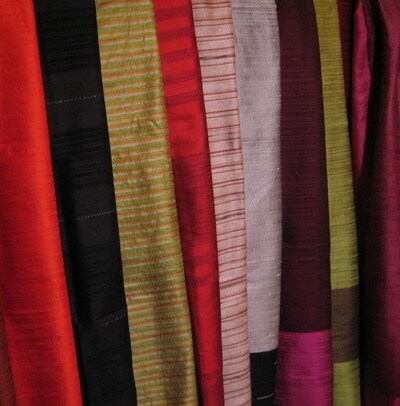 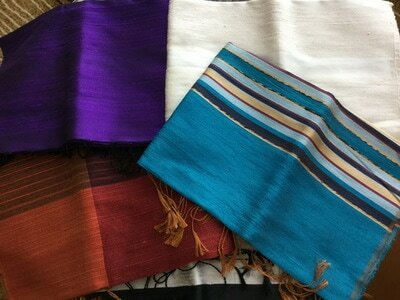 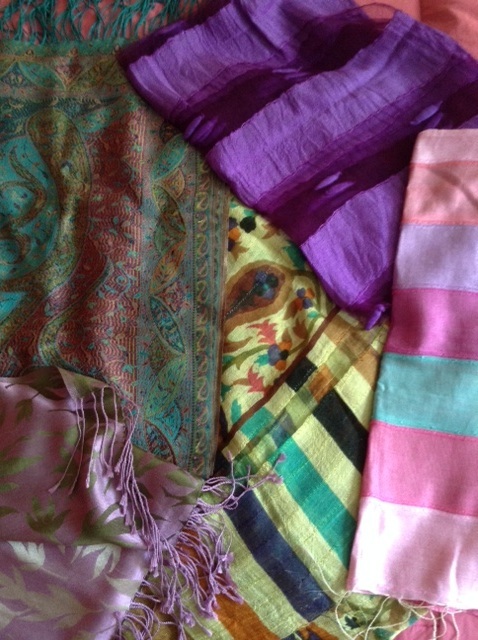 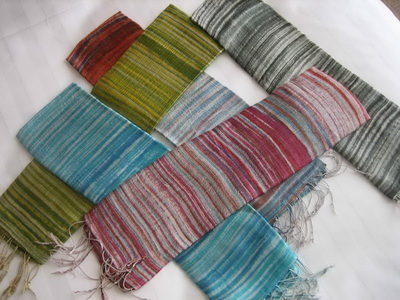 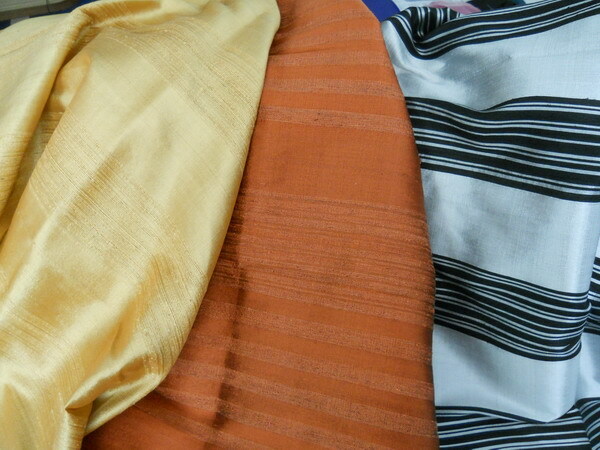 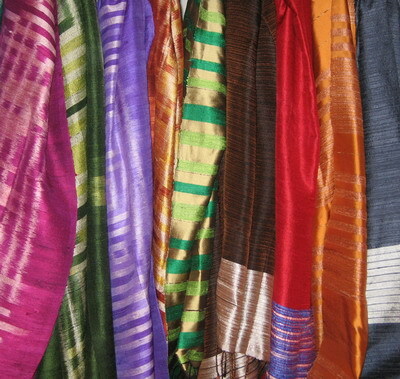 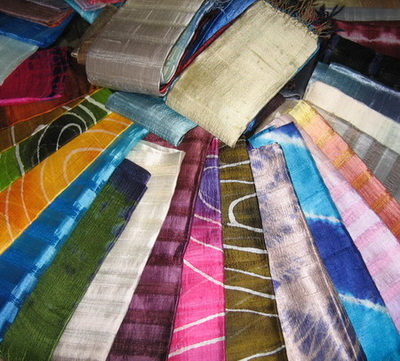 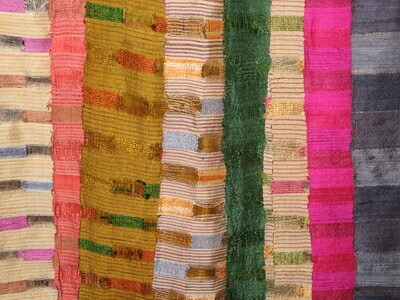 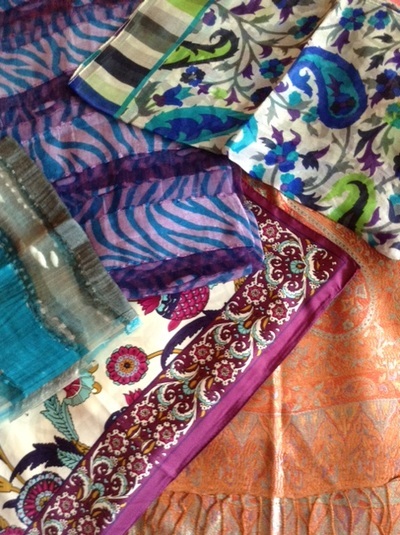 I buy my scarves, most of which are silk, from a variety of artisans in Thailand, India and Turkey. The process of creating silk is something fascinating to see….from lowly silk worm comes this wonderful thread that eventually is spun and refined into something of great beauty. 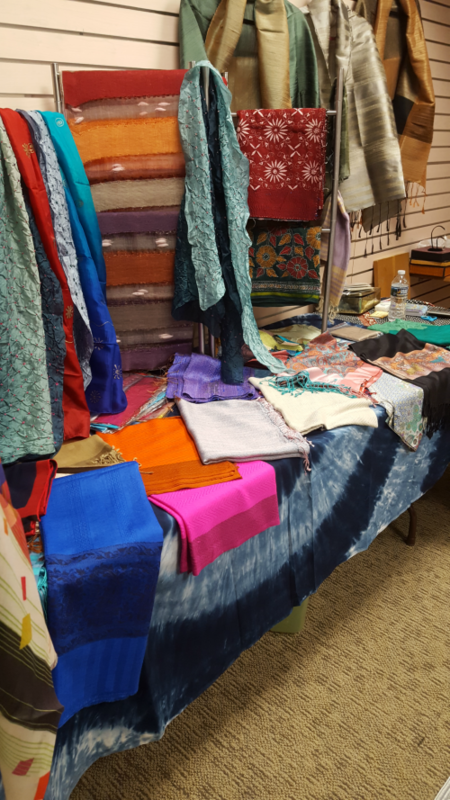 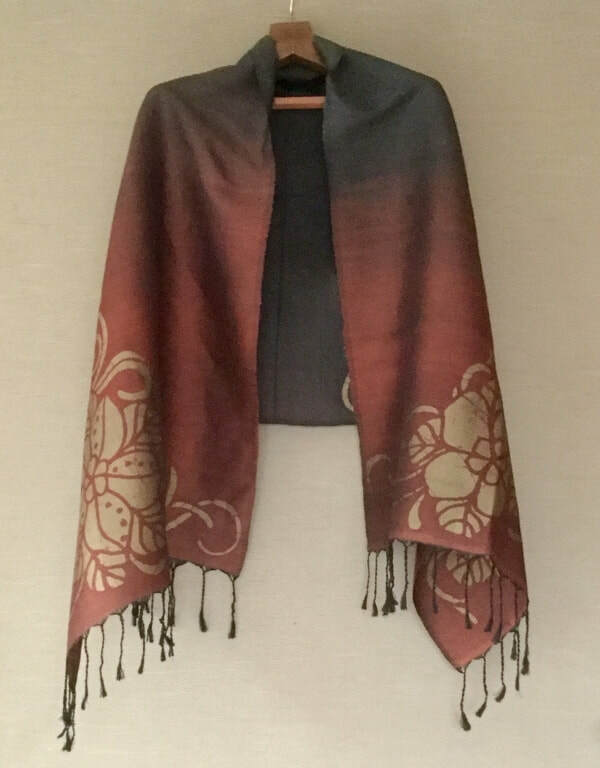 Recently, I have expanded my selection of scarves to include cashmere, wool, and mixtures of silk and both wool or cashmere. 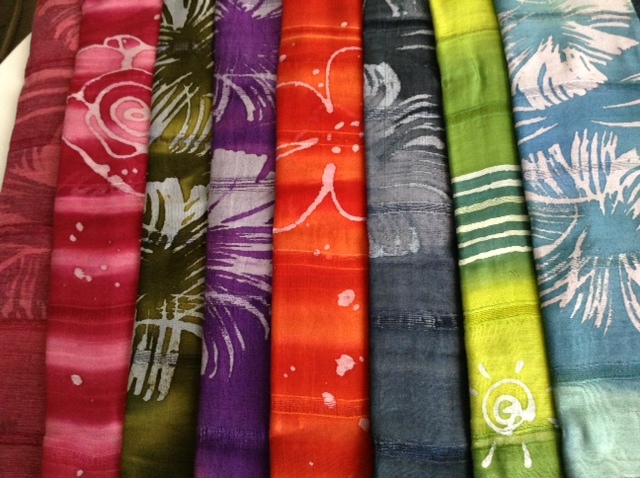 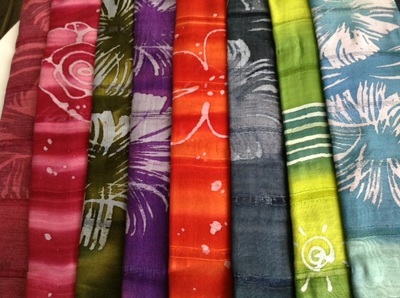 I also have an interesting collection of cotton scarves, as well as a selection of digitally printed silks.